The regulatory body of attorney profession in Poland. It is the largest bar association in Poland with almost 50,000 members as of 2015. The profession of an attorney at law is a profession of public trust and is organised within the professional bar according to the Act of the Polish Parliament under the authority of the Polish Constitution with the aim to protect public interest. The profession of an attorney at law is one of the legal professions recognised in Directive 249/77/EEC on temporary provision of legal services in another EU Member State and Directive 98/5/EC on permanent provision of legal services in another EU Member State. The aim of the activities of attorneys at law is to provide legal services and legal assistance to individuals and legal entities, in particular by providing legal advice, preparing legal opinions, drafting legislative proposals and representing clients before courts and public bodies as a legal representative or a defence counsel, including before the Supreme Court, Constitutional Tribunal, Supreme Administrative Court, the Court of Justice of the European Union and the European Court of Human Rights. BioLawEurope F.m.b.A comprises a network of independent law firms, i.e. a collective number of licensed attorneys operating nationally under a common trademark or name, but not necessarily in the form of a corporation, and individual attorneys registered and licensed in one or more European jurisdictions and specialized in the rendering of legal services to commercial as well as non-profit based natural and legal persons, including universities and organizations operating, investing in and/or servicing biotech, pharma, food supplement, medical device and/or dentistry industry related. BioLawEurope is registered in Denmark by the Danish Business Authority under CVR No. DK 3630 6092, as a limited liability association. The Members of the Alliance are dedicated to rendering high quality personalized tailor-made legal services to clients within the European Economic Area and Switzerland, giving their clients the opportunity to have specialist advice rendered in and for one or more of these jurisdictions. 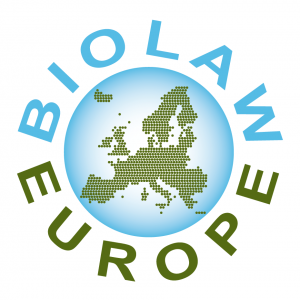 BioLaw Europe aims to create a platform for professional marketing, collaboration, education, training and communication for the entities related to broadly understood life science sector. Jakub Gladkowski has been appointed the auditor of the organization in 2015 and 2016. 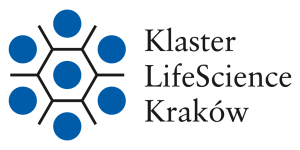 LifeScience Cluster (Hub) in Krakow is Poland’s largest organization of the medical industry, biotechnology and life science sector, which holds the status of the key Polish cluster. The purpose of the Cluster is to stimulate networking of scientists, and the main goal in this regard is to make greater chances of effectively receiving grants by the Cluster members within Horizon 2020. Partnering with LifeScience Cluster provides the opportunity for effective internationalization. LifeScience Cluster is the active partner in several international networks that enable global or trans-European cooperation, such as Council of European Bio-Regions: CEBR, SCANBALT, European Diagnostic Cluster Alliance, Global Innovation Network: GIN. Basic service of LifeScience Cluster involves easy access to information about events and activities of similar networks in EU in USA and in other countries. This is also an excellent opportunity to promote activities on the international arena. LifeScience Cluster also works actively within the framework of the world’s leading biotechnology congress – EUROBIOTECH 2017. In turn, the second key international programme for the Cluster is BALTIC Fracture Competence Center (INTERREG BSR), the subject of which is the creation of an international register of fractures and treatment of fractures. Attorney Małgorzata Kiełtyka of KG Legal Kiełtyka Gładkowski was admitted to the International Intellectual Property Law Association based in San Jose, California. It is a global association bringing together the best lawyers dealing with intellectual property rights. It organizes international events, promotes education related to intellectual property rights, coordinates cooperation among the members of the association, providing them with the opportunity to exchange information. IIPLA also acts as a team of experts to monitor the development and changing trends in intellectual property rights around the world in order to provide information on leading trends. The scope of cooperation includes both individual lawyers and large law firms as well as institutions. IIPLA also conducts research using its global reach as well as the practical knowledge of its members. The conferences organized by IIPLA allow for the exchange of opinions on intellectual property rights in the world of constantly developing new technologies. Due to a large group of members, opinions presented at IIPLA conferences are critical but also varied. An important element of the participation in IIPLA is also the ability to contact other members via a unique online platform. Thanks to this, lawyers-members can reach specialists from around the world. The participation of KG Legal in the IIPLA organization will enable the law firm to contact the international lawyers specialising in the intellectual property protection sector and to pursue more effectively cross-border cases in which KG Legal specializes, in particular in the area of the protection of software, technology, personal data, medical technologies, fintech, BIO-IT projects and life science. The German – Northern Lawyers Association is an organization aiming at increasing the level of professional education in Germany and the countries of the Baltic Sea basin. The association provides the opportunity for personal and professional knowledge of lawyers from various jurisdictions, through direct contacts during participation in industry conferences. The German – Dutch Bar Association is an organization of professional lawyers whose area of practice is Dutch and German jurisdiction. 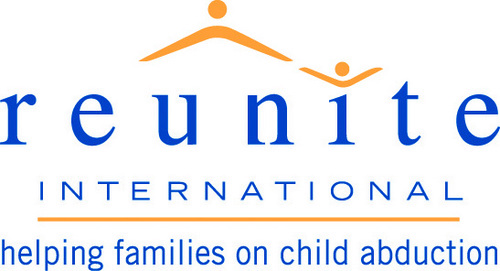 Reunite International Child Abduction Centre is recognised as the leading UK charity specialising in international parental child abduction and the movement of children across international borders. Reunite offers practical, impartial advice, information and support to parents, family members, and guardians who have had their child abducted, as well as parents and guardians who may have abducted their child. Reunite also provides advice, information and support to parents who fear their child may be at risk of abduction and assist and advise in international contact issues and cases of ´permission to remove´. Reunite works closely with the Ministry of Justice, the Foreign & Commonwealth Office and the Home Office and provide specialist training for government departments, lawyers, academics, the police, and others who have a professional interest in international parental child abduction. KG Legal’s membership in Reunite contributes to the development of private client desk and provides specialist expertise in complex cross border family law cases. The Child Abduction Lawyers Association (“CALA”) is a body of specialist child abduction lawyers, which includes the International Child Abduction and Contact Unit Panel Members. CALA Members are specialist solicitors, barristers, academics and others with an interest in this field. The specific aims of CALA are to formalise the informal network of child abduction lawyers that already exists; to improve and maintain high standards of service in matters involving child abduction and to improve the links and communication between child abduction lawyers in different jurisdictions throughout the world. ADVANTAGE AUSTRIA, with its about 110 offices in over 70 countries, provides a broad range of intelligence and business development services for both Austrian companies and their international business partners. Other services provided by ADVANTAGE AUSTRIA offices range from introductions to Austrian companies looking for importers, distributors or agents to providing in-depth information on Austria as a business location and assistance in entering the Austrian market. ADVANTAGE AUSTRIA is a part of the Austrian Chamber of Commerce (https://www.wko.at/). The number one goal of the Netherlands-Polish Chamber of Commerce is to help businesses of all sizes to grow and prosper. The organisation offers their 200 members exposure in Polish business community, a strong networking base and opportunities for professional development. Due to its membership in Netherlands-Polish Chamber of Commerce, KG Legal acquired access to international network of business partners in all fields of specializations. 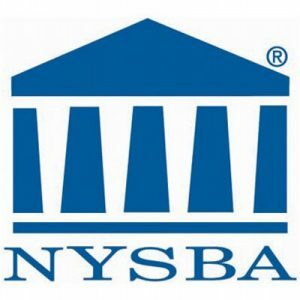 Founded in 1876 in Albany, New York NYSBA is the oldest and the largest voluntary state bar association in US, with a membership of more than 75,000 lawyers, of whom 18,000 reside out of state. Its main goals concern cultivating the science of jurisprudence, promoting reforms in the field of law, facilitating the administration of justice and elevating the standards of integrity, professional skill, honor and courtesy in the legal profession. Due to the membership in NYSBA, KG Legal acquired access to international network of lawyers in all fields of specialization, members’ publications and practice resources. 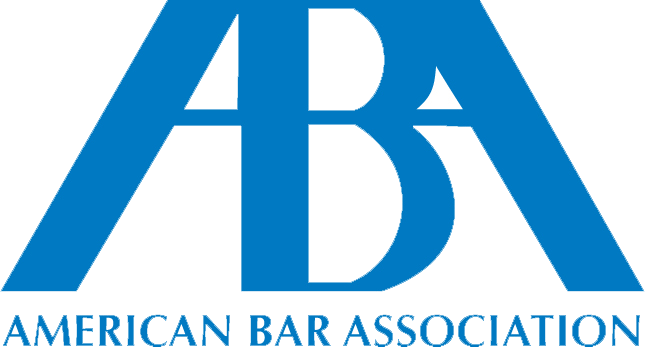 The American Bar Association is one of the world’s largest voluntary professional organizations, with nearly 400,000 members and more than 3,500 entities. It is committed to doing what only a national association of attorneys can do: serving its members, improving the legal profession, eliminating bias and enhancing diversity, and advancing the rule of law throughout the United States and around the world. Founded in 1878, the ABA is committed to supporting the legal profession with practical resources for legal professionals while improving the administration of justice. Due to its membership in ABA, KG Legal acquired access to international network of lawyers in all fields of specialization. Established in 1935, the UK Institute of Export is the professional membership body representing and supporting the interests of everyone involved in importing, exporting and international trade. KG Legal joined UK IoE as a result of a growing demand on the part of the Clients for sources of cooperating partners in cross border transactions. Professional legal advice in cross-border cases requires understanding of the needs of foreign entities operating in Poland. Therefore, KG Legal Kiełtyka Gładkowski participates in such organizations as the Indo-Polish Chamber of Industry and Commerce, which supports cross-border business in Poland and India. In an exclusive interview given to KG Legal Kiełtyka Gładkowski, the President of the Indo-Polish Chamber of Industry and Commerce, Mr. J. J. Singh, as the head of the organization, explains the goals and operations of the Chamber (link to the video). The participation in IPCCI also enables the presence in business meetings, such as B2B of Indo-Polish business (for example of textiles industry and heavy chemical industry) that take place at the headquarters of the National Chamber of Commerce in Warsaw (See the opening speech of the Ambassador of India to the Republic of Poland and Lithuania, Monika Kapil Mohta — video). The London Chamber of Commerce & Industry (LCCI) was established on 25 July 1881 at Mansion House in the City of London with 130 members. It represented the London metropolis. The London Chamber of Commerce & Industry is one of the Strategic Partners of The Middle East Association. KG Legal Kiełtyka Gładkowski from the very beginning, in order to develop its specialization in providing legal services in cross-border cases, has been actively participating in international business institutions.